It was a rainy weekend. The weather and greyness made me feel quite lazy, but it did not stop me from finishing a few projects. It was nice and fulfilling to stay at home and bring a few things back to live. 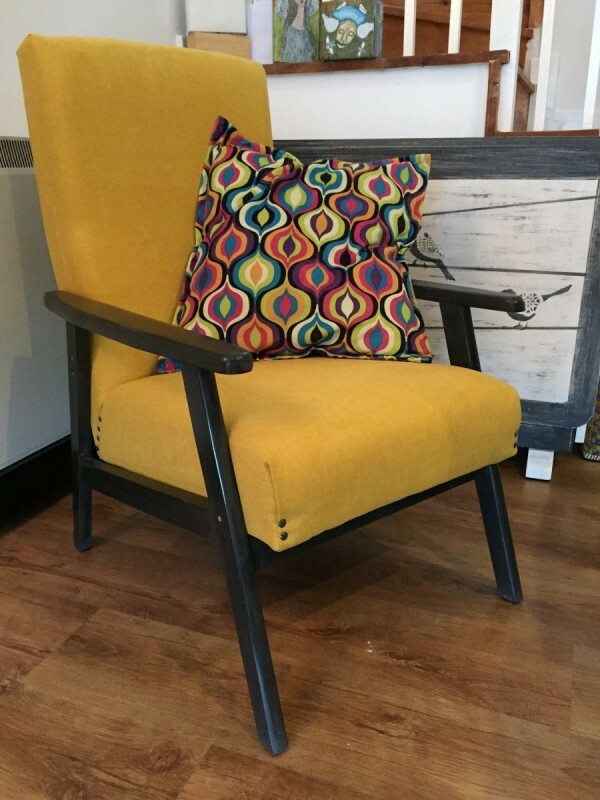 Lovely mustard-yellow fabric and chalky finish waxed wooden frame in graphite. I have started the chair on Thursday afternoon from painting the frame, and I have completed renovating finished it over the weekend. 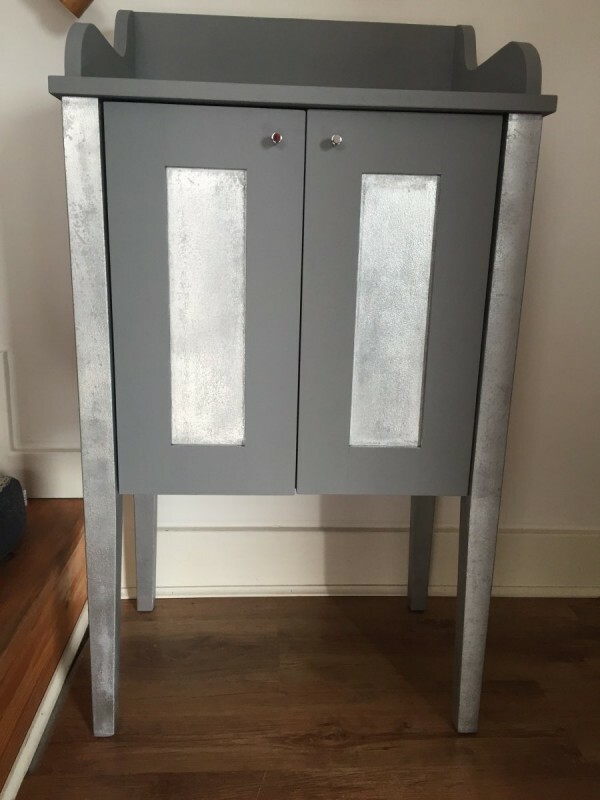 Chalky grey and graphite finish with a silver coating at the countertop. All waxed and polished. Renovated dresser / sideboard. that was in my hallway. It was in my hallway and looked quite boring and dark. 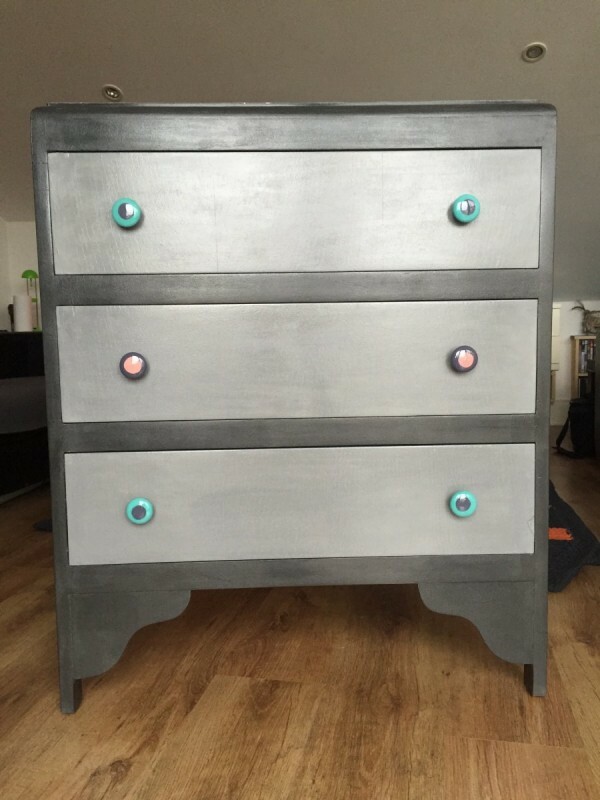 I decided to brighten it up a little bit – bright grey chalky finish with metallic elements.